Soft lights twinkling in the windows, steaming cups of cocoa being passed from hand to hand, boots dripping with fresh snow piled on the welcome mat, little faces bright and rosy cheeked from romping in the cold yard. Christmas music swirling in the background while angels glisten on the evergreen tree in the corner and gold wrapped packages sit expectantly underneath. These are the little moments of the Christmas season. The moments that we want to savor and cherish while they are happening. The moments that gladden the heart and remind us of the simple beauty within the holiday celebrations and family traditions. to wrap, cookies to bake, stockings to stuff and volunteering to do. We can race from one project to the next, trying to get everything done before December 25th and making sure our families have the perfect Christmas. Or we can take a deep breath and slow down, enjoying the moments as they happen and simplifying our own to do lists. We can be intentional about what we choose to do to celebrate Christmas, letting go of some of the busy work to create more space for family traditions and merry memory making. We can plan ahead and give ourselves time to tackle our Christmas to do list early so that we are not overwhelmed at the last minute. We can gift our families with a peaceful holiday season this year by being a joy-filled, intentional mom with a plan. Having a game plan to celebrate Christmas is one way to be prepared for an exceptional holiday season. The goal should be to find ways to savor the season instead of rushing through the season. 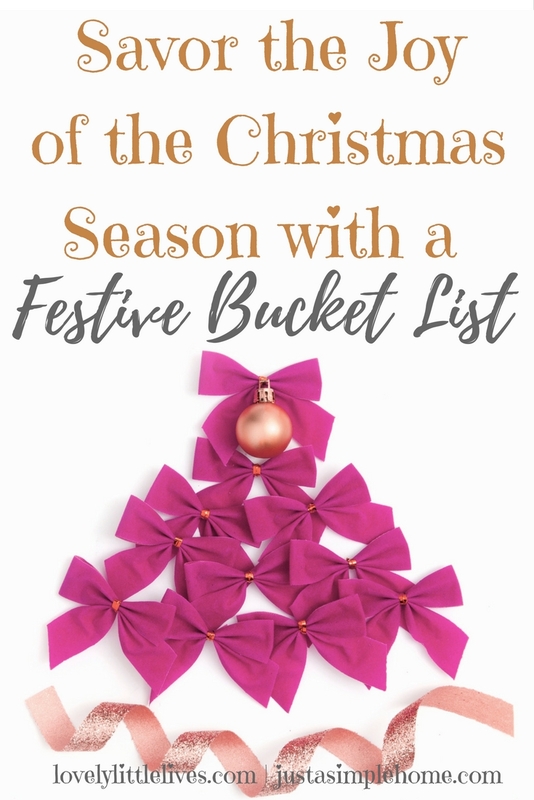 What better way to do this than with a festive bucket list that highlights all the important Christmas moments? If some of these activities seem more like a chore or a hassle, try to shift your perspective to recognize the fun you can have or to see the opportunity for quality time with others. If you can go into the holiday season with the “savoring Christmas” mindset, you will be more likely to really enjoy this time of year and feel a sense of satisfaction after Christmas is over. At the start of the new year, you can look back and say you truly savored Christmas with your family and made every moment count. Download this Christmas bucket list or create your own with the included customizable printout. Hannah Christensen is a wife and mom, sipping cups of coffee between loads of laundry and organizational projects. Most days you can find her working from a home office with two curly-haired little girls serenading her with Disney Princess songs. Her favorite days are ones where she is relaxing with her husband and best friend. 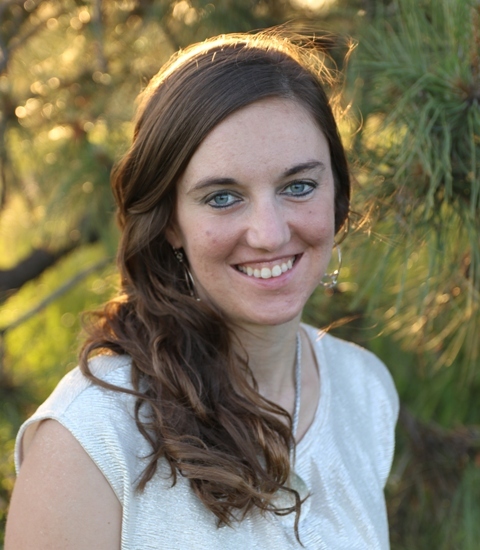 She blogs about faith, marriage, homemaking and motherhood at lovelylittlelives.com. If you are looking for Christmas gifts for your daughters, this is her Disney Princess Gift Guide. This will be our first Christmas season where snow, unless a miracle happens, is not expected to make an appearance. It’s such a beautiful time of year. We will just have to enjoy all the other wonderful moments. I love this idea! Each season, I have a list (in my head!) of things I want to do, but I love the idea of writing them down as a bucket list. Thank you for sharing making a list! These are such great ideas! Decorating our home with Christmas music playing in the background is definitely one of our favorite traditions and will absolutely be on our bucket list! This is a great list! I will likely do most of these! Breathing in the cold air is a must! And it would be cool to do an advent calendar. I haven’t done one since I was a kid. I’ve never thought of making a Christmas themed bucket list but i’ll be dreaming one up now! Driving around and looking at Christmas lights is one of my hubby and I’s favorite traditions! I love this list and will be using it this season! I love making a winter themed bucket list, which honestly tends to be mostly Christmas related things! It’s fun though because it gives you an idea of the things you want to do this holiday season and to really slow down and enjoy it all. Thanks for all the fun ideas! I might have to add some of these this year. This is wonderful! It really focuses on being intentional about what YOU want to do to celebrate the season versus getting caught up in the hustle and bustle. Great post! I love all of these ideas! We do almost every one of these during the holidays. I love snuggling up in blankets on the couch! I love using board games at Christmas. It creates SO many memories. I love these bucket lists! I always say i’m going to make one, but my house project list is so long!